RALEIGH — As House and Senate budget conferees tick through the list of unresolved issues hanging up a final deal, one provision yet to be cleared is what to do with the 140-year-old New Inlet Dam at Zeke’s Island on the Cape Fear River. Sen. Mike Lee, R-New Hanover, said yesterday that he expects to hear soon whether a proposal in the Senate’s version of the budget calling for removal of some or all of “The Rocks,” will become part of the final budget agreement or altered in some way. The provision spells out a plan to remove the nearly two-mile breakwater, built in 1871 to close the shallow and meandering New Inlet. The dam, according to the plan’s sponsors, impedes the natural flow of water between the Cape Fear and the ocean. Removing much of it, they say, would re-establish the natural flow. The plan generated little discussion when it was first introduced but has drawn the scrutiny of local governments in the area worried that opening another inlet and changing the river’s hydrology would increase beach erosion. Eight towns, including Southport and the Village of Bald Head Island, have come out against the plan saying they have yet to hear evidence that removing the rocks will do what supporters claim. Opponents have not only questioned the concept, but its origins, including whether it has anything to do with a revival of plans for a mega-port project near Southport. Lee said he’s heard a lot of theories about “nefarious plans” behind the project, including that it was connected to the former mega-port project. “This has nothing to do with that,” he said. Lee said the idea came about during discussions by a group of coastal legislators on a comprehensive approach to dredging shallow inlets in the face of dwindling federal funds. Lee said it might not mean removal of the entire breakwater, but enough for recreational fishing boats and others to get in and out. He said there could be potential benefits for traffic flow to the Wilmington port as well. Complicating this plan is Zeke’s Island, which formed after the dam was built. 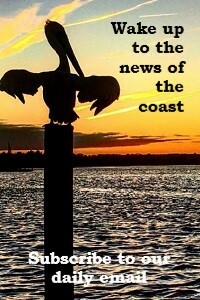 It is one of the three original National Estuarine Research Reserve components dedicated by the National Oceanic Atmospheric Administration, or NOAA, and the N.C. Division of Coastal Management in 1985. The site is 22 miles south of Wilmington, bounded by Federal Point to the north, Smith Island to the south, the Atlantic Ocean to the east and the Cape Fear River to the west. The lagoon-like complex at the Zeke’s Island site is one of the most unusual areas of the North Carolina coast. 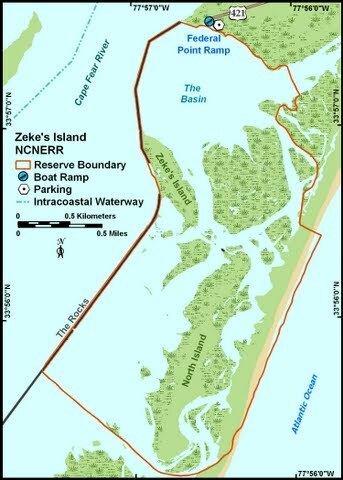 The entire site is 1,635 acres and includes Zeke’s Island, North Island, No Name Island, a beach barrier spit and extensive fringing marshes and tidal flats. 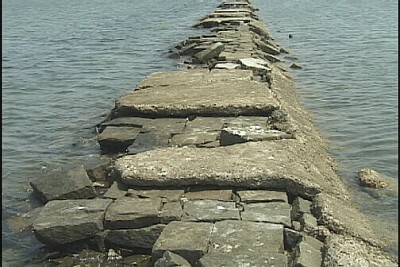 Lee acknowledged that the plan would face significant hurdles. The plan in the budget includes not only work on permits, but negotiations with the NOAA that include a potential land swap for a portion of the Fort Fisher area. “We’d have a significant process to go through,” Lee said. One key factor, he said, would be to make sure boat traffic south of the project would not be adversely affected. 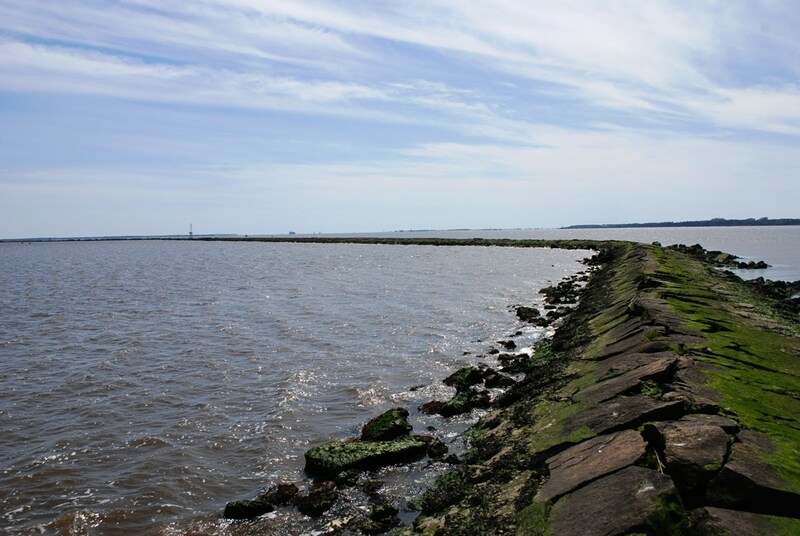 Justin McCorcle, an attorney with the Army Corps of Engineers’ Wilmington District, said the Corps would take a close look at both the environmental and navigational effects of removing The Rocks. “We’d look at what is the purpose, what is the need,” McCorcle said. He questioned whether language in the bill about returning the inlet to its “natural state” is practical considering the amount of navigational engineering in the lower Cape Fear. Since the project could alter the dynamics of the Cape Fear River, he said, the federal review is likely to be extensive. “It’s kind of a pinch point on the river,” he said. The Corps, he said, would take a hard look about the potential for altering the flow of sand south of the area, shoaling and the effect on traffic to the port. “We also would look at the scope of the project,” he said. “Is it just about rock removal or that plus dredging?” he said. 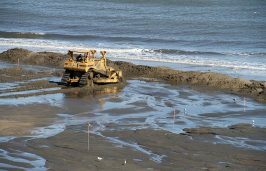 In the area that would see the most impact from the change, the provision got a little local attention after it first appeared in a Senate-backed ports bill that included funding plans for shallow- and deep-draft dredging throughout the coast. 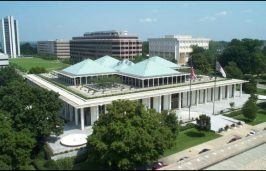 When the ports bill, championed by chief Senate budget writer Sen. Harry Brown, R-Onslow, stalled in the House, much of the language in it, including the Zeke’s Island provision, was added to the Senate’s version of the budget. That drew far more attention to the provision and started a wave of opposition among local governments. On its face, the provision is extensive, requiring the state Department of Environment and Natural Resources to initiate a complicated series of steps to secure the rights to demolish the structure. The process would require negotiations with both the Corps, which would have to sign off on the plan, and NOAA. DENR would be the lead agency on the project. DENR officials say they were not part of the planning process for the provision. The department also has yet to initiate any contact with federal agencies on the project. “DENR did not provide input on the provision, but will proceed as necessary if it is included in the final budget, Crystal Feldman, DENR’s communications director said, in an email response. Local officials also say they weren’t included in talks on the idea, a move that some say drove suspicions about the plan. Village of Bald Head Island officials said they’ve been trying to get an answer since mid-May when they sent a letter to Brunswick County legislators Sen. Bill Rabon and Rep. Frank Iller, both Republicans, expressing concern about the project. 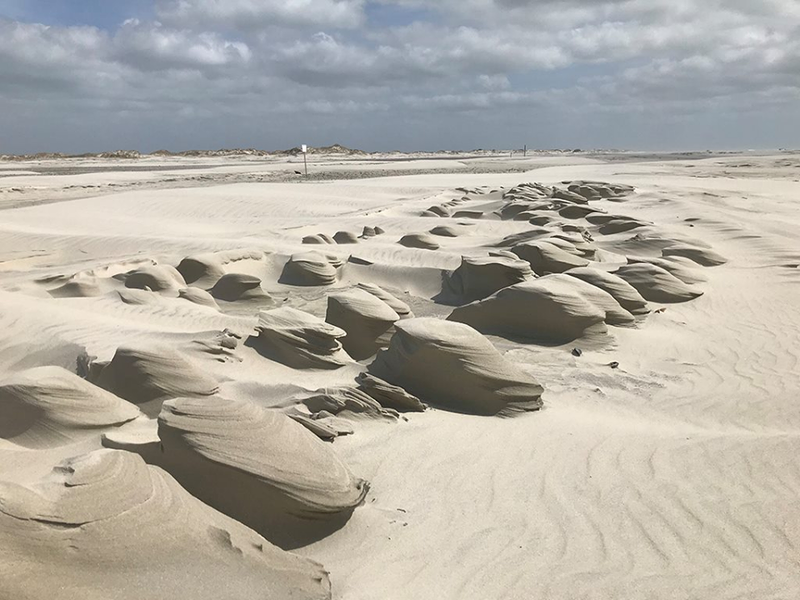 The village’s coastal engineer studied the proposal and raised questions about the effects of saltwater intrusion to heavy erosion potential along the island’s East Beach. Calvin Peck, Village of Bald Head Island manager, said the village has yet to receive a response from anyone on the proposal. The concern, he said, is that legislature appears to be on a fast pace, ready to draw its conclusions that The Rocks have to go despite saying they also want to study the idea. Lee said he has reviewed the report from the town’s engineer and that the project would be carefully looked at before anything would happen, but the area needs to take a long-term approach. “This is just the first step in the process,” he said. With State Funding, Is Bird Island Fight Over?